We went to see The Unbelievables last night, currently showing at Arts Centre Melbourne after first premiering at the Sydney Opera House in December. 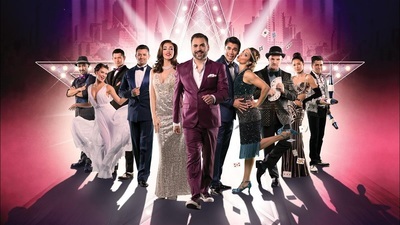 Featuring a diverse group of individuals who perform their rather unique talent to audiences in the grandular Hamer Hall, The Unbelievables is a glitzy variety show is filled with plenty of surprises: magic, circus arts, ventriloquism, illusions, live art, dancing, singing and comedy. Part theatre, part vaudeville, part magic and a whole lot of pizazz, this group of 'unbelievable' individuals know to to entertain the crowds. There's live swing music and ballroom dancing to add sparkle to the show although the feel of the set is somewhat 1920s cabaret. 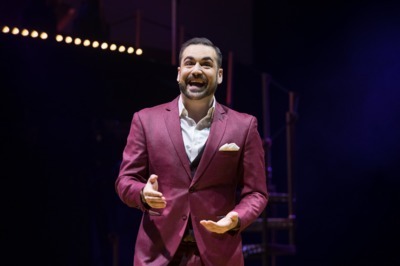 Led by the hilarious comedian all the way from 'Noo Yoik' Harrison Greenbaum who certainly knows how to carry the show, The Unbelievables is an action packed 2 hour show of pure entertainment. 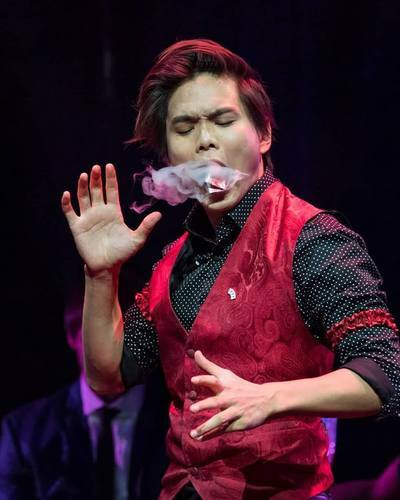 Shin Lim the magician (with the big hair!) was a stand out for us, as we left the Hamer Hall with so many unanswered questions. Playing cards literally disappeared in front of our eyes. How does he do that? Other stand outs were the mind-blowing illusionists Sos & Victoria Petrosyan who hold the Guinness World Record for changing outfits in record time! Ventrioquist Jay Johnson who throws his voice around without showing any effort in doing so, c/o sidekicks the Monkey and Bob. Mr.9 was also quite taken by Julia Kurkina, a sand artist who crafts the most incredible detailed pictures using only her fingers and grains of sand on top of a light box. 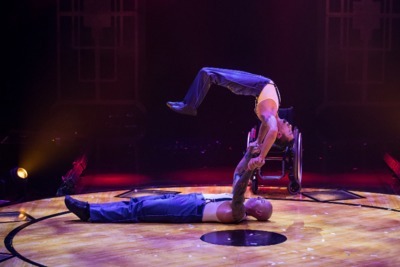 We were all wowed by "Dupla Mao na Roda", a remarkable duo who defeat the limits of disability to perform a remarkable acrobatic 'strongmen' act together. But the ultimate 'unbelievable' for us was Brett Loudermilk; a world-class sword swallower. Although some of his dangerous acts were hard to watch, his personality shone on stage; he is a true entertainer! The Unbelievables is a splendid show, recommended for those over the age of 7. Catch the world premiere season of The Unbelievables before it travels the globe at the Hamer Hall, Arts Centre Melbourne until 13 January 2018. Did the Bangladesh garment factory collapse change your views on where you shop?